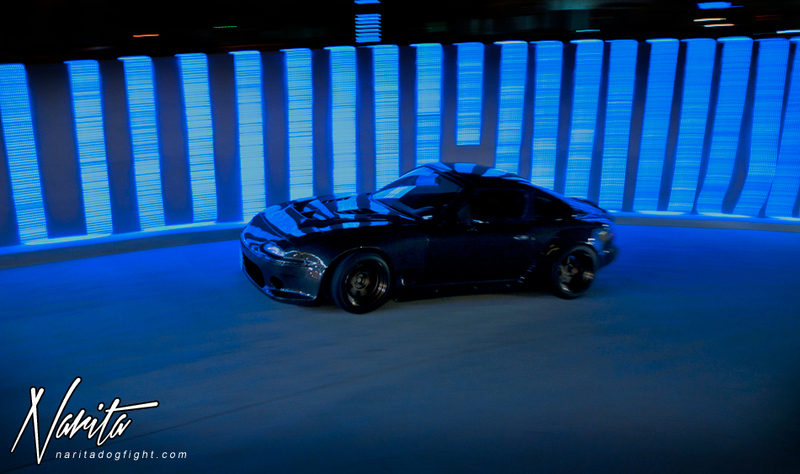 To confirm your suspicions let me just say, yes; this car is made entirely of carbon fiber. A carbon car if you will. This car was built and belongs to Mike from Autokonexion; a shop you probably aren’t familiar with unless you own a Miata. Which is to be expected because Mike is a pretty behind the scenes guy. If I showed you a picture of this car however, I’m sure you may become a little more familiar to the man behind the work…or, errr, the work behind the man? Anyway, my good friend Kodi had the car to take to the Formula D show last weekend, so after he was wrapped up with that I drove up to the 626 and met him at Maxim Cafe for a coffee. After I finished my Spanish Coffee and was on an incredibly strong caffeine high, we drove down the street to this plaza that has an underground parking structure. It was pretty late at night, so this was our best bet for lighting. This whole meeting was pretty last minute and I didn’t have any general ideas or themes I wanted to try, so I was pretty happy with just adequate lighting. I quickly learned that the car itself is pretty difficult to photograph. Kodi and his companion were pretty worn out, so I didn’t want to keep them long either. 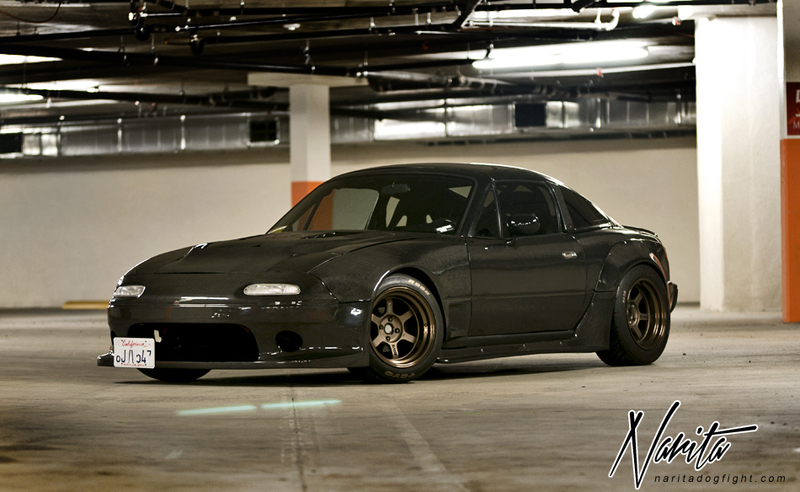 Anyway, back to the all carbon NA Miata that you’re looking at. The amount of work that went into making these molds is nothing short of amazing. The engine and interior of the car remain relatively stock, as this car was used to demonstrate the capability of transforming the body. 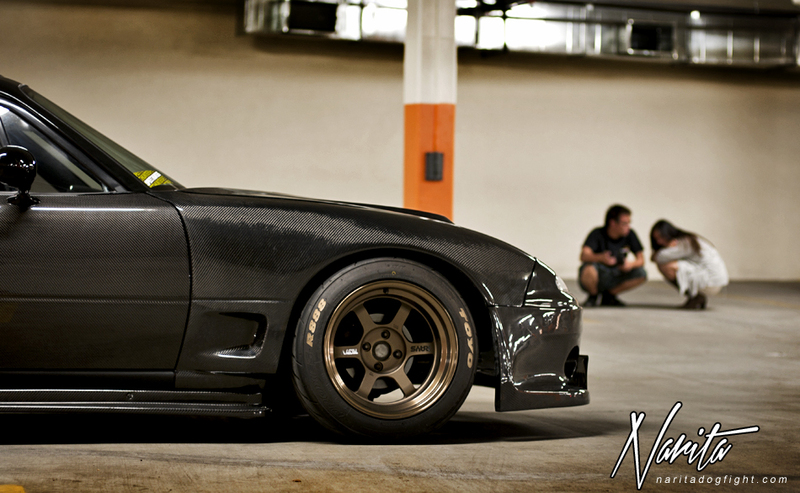 The combination of the widebody and sleek roof give this car an entirely different look. Kodi was telling me all day at the FD show people were breaking their necks trying to figure out what was going on with it. 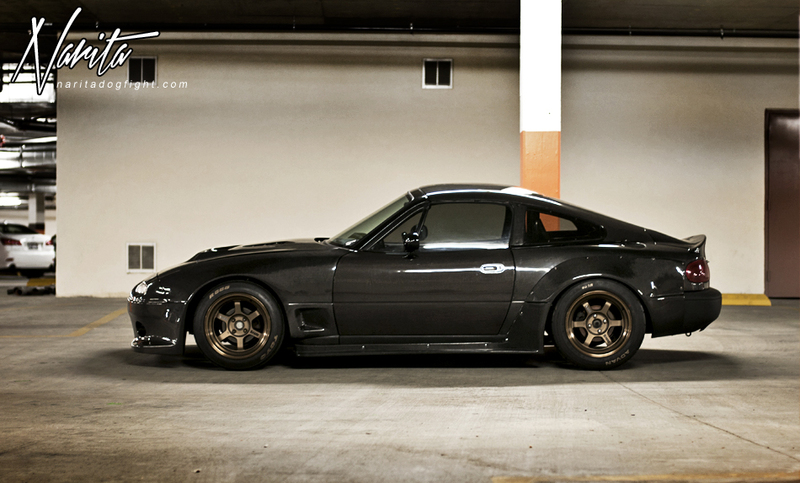 Oh, and if these wheels look familiar, it’s because you’ve seen them on Kodi’s old Miata. 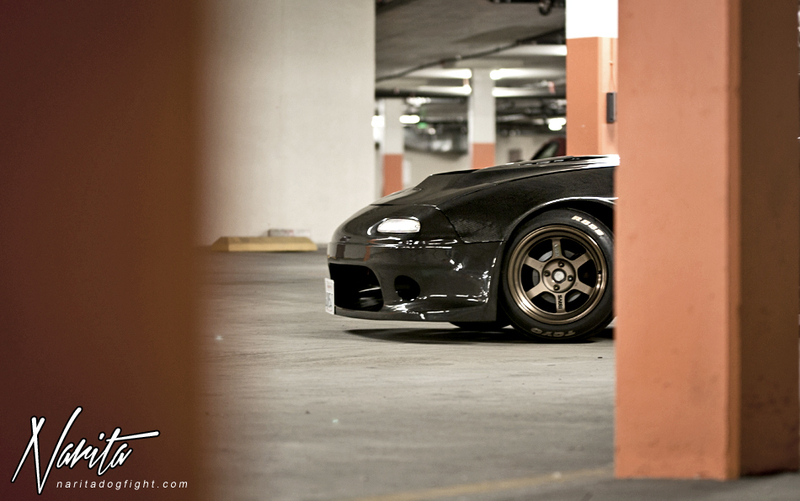 The TE37V’s give this car the extra amount of aggression it needed; I would like to see it a little bit lower though. The one piece that has yet to be transformed to carbon is the rear bumper; although that will change soon. 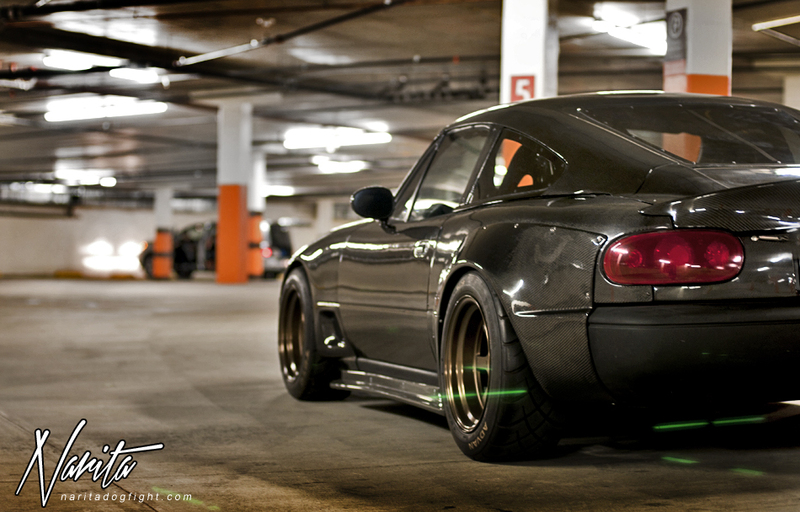 I can imagine that the general public is quite confused when they realize that this is a Miata. You could probably get away with telling them that it’s some new custom European exotic. 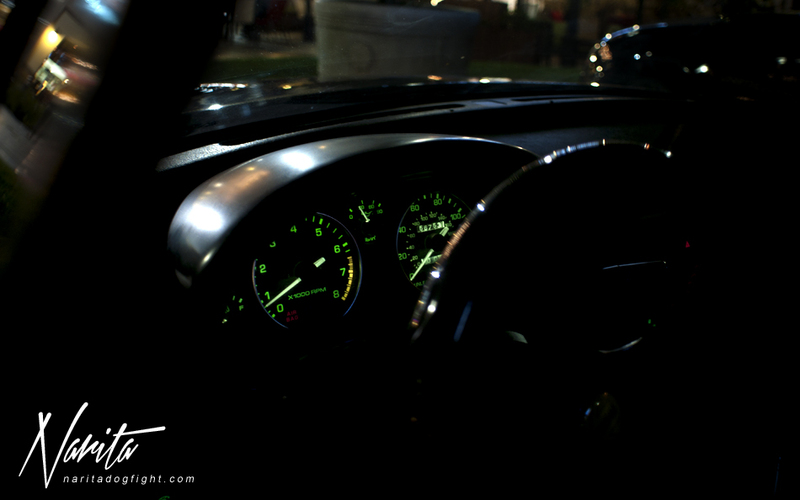 Although it was a last minute thing, I’m glad I got the chance to photograph the car. I know the post is somewhat short, but I have a few shots saved for the Autokonexion site and for Mike’s use; hope you enjoyed it regardless. Thanks to Kodi and Doris for staying up a little longer than they expected, and paying for my coffee accidentally. Full carbon- Miata?! What?! Yes! I don’t even care that this is not coming from our blog. You need to see this! How much does it weight??? Please, I want to know! !